Ghost has just released a new anthem, “Dance Macabre.” The band who had remained nameless for the past ten years has recently revealed some of their true identities.The Swedish heavy metal band, lead by vocalist, Tobias Forge, has tried a different style with their latest release. This is only a continuation of the trend. With each album, the band creates a new image, a new look, and a new sound for themselves. 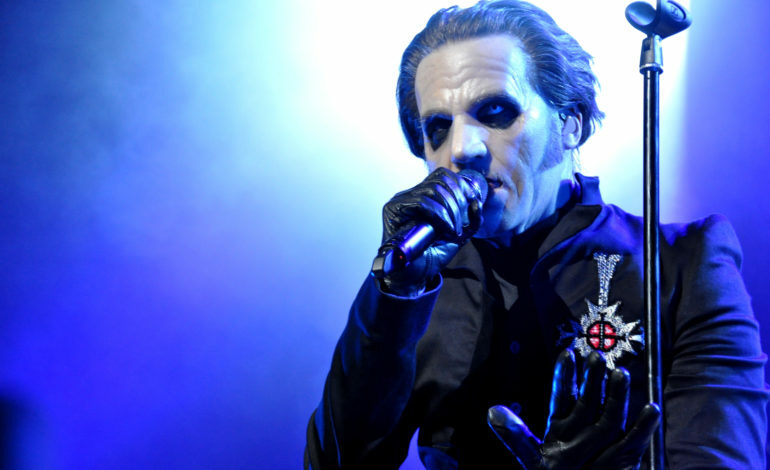 Ghost has been described as many things heavy metal, doom metal, hard rock, progressive rock and even sometimes psychedelic rock. Their new song, “Dance Macabre” begins with a few bars of the guitar and a drum beat. As the song goes on, it evolves into a rock anthem. The upbeat tune of the song keeps the listener on their toes. The music video, recently released as well, shows fans recording themselves as they listen, sing, and dance along to the song. This is a new track from their album, Prequelle, coming out on June 1st. The song talks about time and turning back to be with the ones that you love. No need to worry. You can listen to this on repeat all night. The song is available to stream on Spotify and you can find their music video on YouTube. “Dance Macabre” begins with a title card reading “one night in Transylvania,” the l and a bolded in red to refer to Los Angeles where the story appears to take place. It follows two men walking down the street late at night in search of a party, they arrive at the house, they are greeted at the door by a strange man decked out in makeup. Inside, everyone dances and appears to have a good time and like the one man who at first was uncertain about the party, the song transports you to a feel-good place. Watch the music video down below.